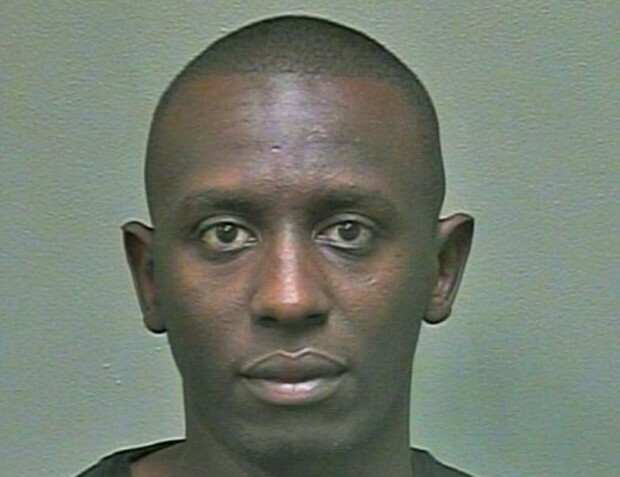 AHH…Jacob Mugambi Muriithi, 30…another Oklahoma jihadi…self-identified ISIS adherent…a native of Kenya…threatens to behead a Christian co-worker, if she refuses to convert. What a shock!! BEFORE we get to the heart of the matter, let’s be clear: prior to Oklahoma’s recent beheading, who recalls 2 beheadings in 2013, whereby a Muslim chopped off the heads of Coptic Christians in NJ? You guessed it, most haven’t heard a peep about it, but why would they? Aside from brief reportage on the “crime”, no mention was made about a “possible” Islamic connection, one which mandates to behead non-believers. Hmm. Quran (8:12) – “I will cast terror into the hearts of those who disbelieve. Therefore strike off their heads and strike off every fingertip of them”. Authorities in New Jersey allege a Muslim man beheaded two Coptic Christians, burying their bodies and heads and hands in separate graves near Philadelphia, bringing the horror of the persecution of Christians in Islamic nations to the United States. According to New York’s WABC-TV, the Muslim was identified as Yusuf Ibrahim, 28. He was taken into custody after the bodies were found. REGARDLESS, much has been written at this site about the left’s DEADLY collusion with Islamic jihad. It is not for nothing. But what is most inherent about said nexus, aka the red-green alliance, is their symbiotic hatred of the west. It is their driving force for “holding hands”.Their mischief has been little short of earth-shaking. Hold them both equally accountable. It is safe to assume that the left is none too disturbed about decapitation, being that they still protect said barbarians! Agreed? AS such, the above must be understood for the grave danger that it presents. Nevertheless, apart from this horrific realization, it is imperative to come to grips with the major front groups for jihad in America and the west. However, don’t get bogged down with parsing one particular jihadi nest from another. In other words, concentrate on the UMBRELLA groups and forget about the rest. Basically, the “little” fish operate under the major tents. YES, acknowledged, this site is steeped in Brotherhood Mafia linkages, yet certain ones stand in the forefront. Agreed, CAIR ranks at the tippy top in the spearhead. Resolved, it is the Brotherhood’s propaganda arm in the U.S. IN effect, the top of the Islamic axis have to be closely monitored. Such is the case with ISNA (Islamic Society of North America) related organs, aka Muslim American Society. Little is plotted without its input and counter terror professionals know this to be true. TO be exact, the Islamic Society of North America is the Brotherhood’s American nucleus. Its headquarters are based in Plainfield, Indiana (burrowed in Middle America…how lovely) on a massive 124 acre spread, of which 42 acres include a mosque compound. It is opulent in the extreme. For the record, this land was purchased over 30 yrs ago by foreign students from the Mid East. Alas, every student should be so well endowed! NOTABLY, ISNA was started with Saudi petrol dollars. Moreover, its compound in Indiana was funded with 21 mil from Saudi-linked Youssef Nada, with generous assistance from Qatari Brotherhood honcho, Yusuf al-Qaradawi) Hmm. Moreover, when purchased, there were no Muslims within hundreds of miles all around. Interesting. A real head scratcher. BACK to Oklahoma (in Ferguson, Missouri too) and ramped up beheading attempts…virus-like. AS if on cue, it was hardly a shock when another beheader made himself known, crowing about his Islamic mandate to kill those who refuse to convert! Déjà vu? Significantly, the Islamic Society of Oklahoma City, yes, THAT ISNA, played a deep role in last week’s Oklahoma beheading. AS things develop, how surprising would it be to find out that ISNA is less than six degrees separated in the current jihad attempt? To the contrary. It will be shocking if the terror organ is not in the mix! Wolff Bachner: We have heard so much about ISIS over the last few months, but most Americans still have no real idea what they are facing. Since you are an acknowledged expert on the Islamic world and have spent a good deal of time in Iraq, you are certainly in a position to give our readers an accurate picture of the vicious Islamist death cult called ISIS. How great a threat is ISIS to America and the rest of the free world? Finally, describe for our readers what life would be like for the average American if ISIS actually managed to takeover the United States and create a worldwide Caliphate? David Gaubatz: ISIS, other Islamic based terrorist groups, and the Islamic ideology are the world’s most dangerous threat. ISIS has money, supporters, world leaders, a military, and a ‘Strategy’ to conquer the world. President Obama even admitted he does not have a strategy to defeat ISIS, so how can we even think about defeating them? If people want to know what life would be like under an Islamic caliphate, they need only travel to Saudi Arabia, spend a few weeks under the Taliban, or spend some time with ISIS in Iraq. People (both Muslim and non-Muslim) have no rights under Shariah law. Even your life or the life of your children can be taken away with little or no proof you actually violated one of the many aspects of Sharia law. Islamic based organizations, terrorist groups, and their supporters truly do hate the Jewish people and the American people. When they say they desire to wipe Israel and America off the face of the earth they are being serious. We must all begin to take them seriously. We must always support and align ourselves with Israel. If Israel ever falls, America will also. The people of Israel are our true friends and the American people must demand our politicians never forget this. I will provide my final analysis on this subject: In a very short period of time America will be attacked by ISIS. The attacks will be simultaneously across America and the terrorists know we do not have the leadership in our government to survive such attacks occurring on a regular basis. We will implode. America has only one chance of surviving if these attacks happen. There are over 22 million American veterans living in America. There are several million non-military who will fight for our country and the U.S. Constitution. Americans will never release our right to own guns. 22 million plus veterans and the several millions of other American patriots will fight like no other people have ever fought. They will fight to the end against enemies both outside and from within who seek to destroy America. I would like to end by saying to our Israeli brothers and sisters that liberal journalists, Hollywood personalities, and politicians who do not support Israel are not the ones who actually represent the thoughts of millions of Americans. We are being silenced by liberals, but in a time of war they will stand up and fight against all enemies and the millions of American patriots will also fight enemies of our friend, Israel. CONTAINED within an internal Brotherhood document and presented into evidence during the Holy Land Foundation terror financing trials in 2007 and 2008, everything is brought full circle. In sharp relief. RESULTANT, no one needs to ask if Dave Gaubatz knows the jihadi terrain, unlike few others. Yes, in light of his groundbreaking book, Congress took special note, as did the biggest terror financing trial in U.S. history. 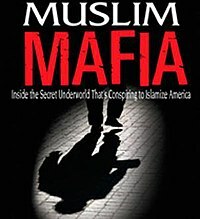 POINTEDLY, as a retired Federal Agent with the U.S. Air Force Office of Special Investigations (AFOSI), Gaubatz has over three decades of combined experience, which has led him on missions spanning the Middle East — from Saudi Arabia, Jordan, and Kuwait to Iraq. As a Special Federal Agent, he also received the highest forms of U.S. security clearances for top-secret intelligence information — including for weapons of mass destruction and espionage — and has been briefed into many black projects. ALAS, given all the hefty weight cited above, does full circle resonate? Is it becoming clearer: yes, jihadists in America are coming out of the shadows and readying to pounce? If not, how many warnings need to be given, before the gravity of the situation sinks in, whether from this site (via multiple plugged in contacts) or elsewhere? You decide.